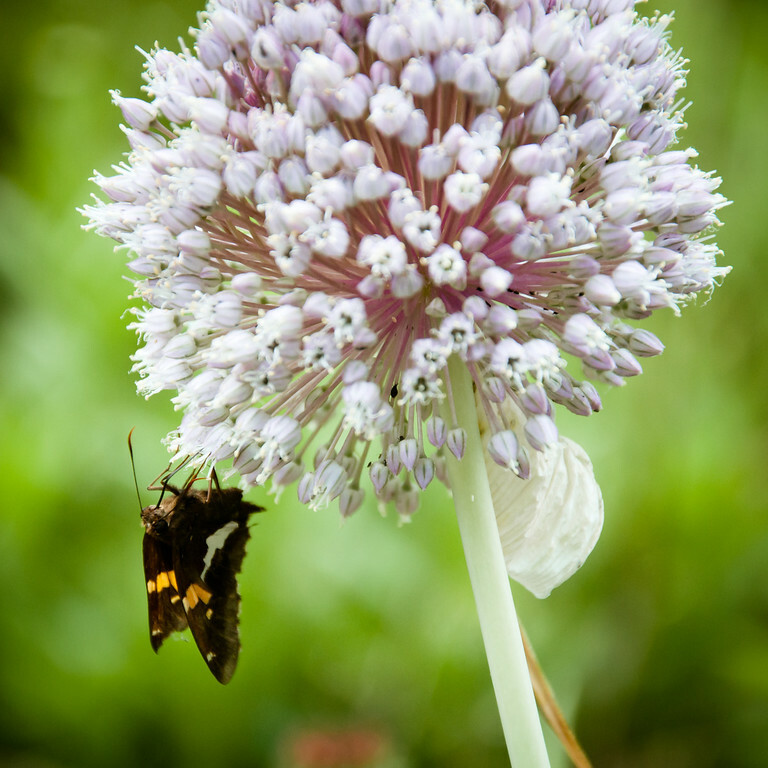 Garlic Bulb and Butterfly | Just Shooting Memories! For the past three years, I have tried my hand at gardening. Some people would call it a small farm since it is a half acre. One of the tricks that I have heard from some of the other gardeners is that you can plant garlic around the garden to keep deer out. It did not work for me. I resorted to a couple farm dogs in the area fenced for the garden. However, it is pretty neat to see the garlic sprout, grow this long stalk and ball like flower on top. I just happened to catch this one with a visitor. If you click on the photo, you can see the additional visitors along the base of the individual little flowers. They are the little black dots.